Mt Craven/Mt Rodney has suffered great losses of beach in the past year. 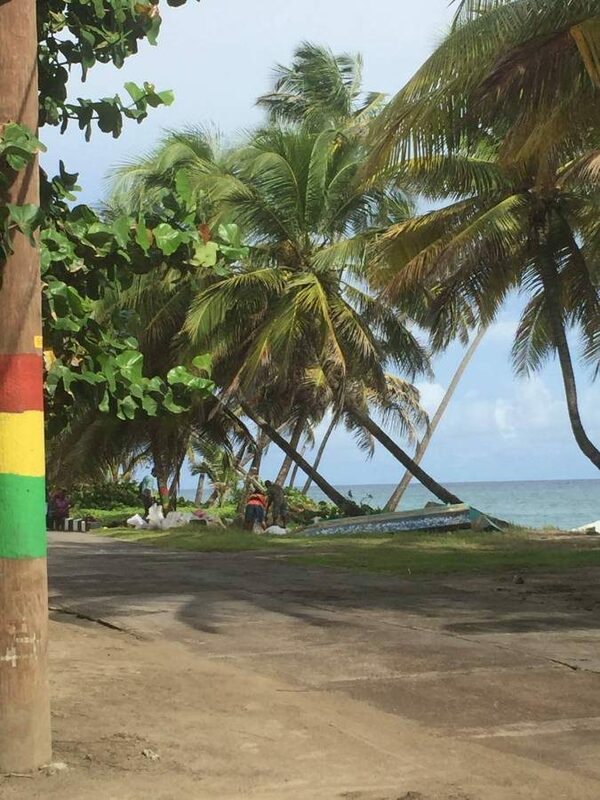 It has been argued that some of this was due to the Breakwater Project, while others argue that this is just the cycle of what happens on the beaches in Sauteurs. The facts of the matter are that approximately 70 trees and around 20 feet of beach were lost on Mt Craven beach last year. This was well documented last November. The trees on both Mt Rodney and Copeland beach are now showing their roots due to beach erosion, and yet sand mining abounds here in Sauteurs. A truck has been seen every morning since Monday, 29 October driving away loaded with at least 30 bags of sand. When the team of 6 people who were filling the bags was challenged, (in relation to sand mining), their response was that they were maintaining the gully. It was not their fault that the beach was being eroded, as it was due to ice caps melting, so blame people overseas. Further discussion ensued when it was pointed out to the group that we in Grenada have to play our part in mitigating against climate change and its impact. The response from some of the members was they had been living nearby for over 50 years and nothing drastic had happened in that time. 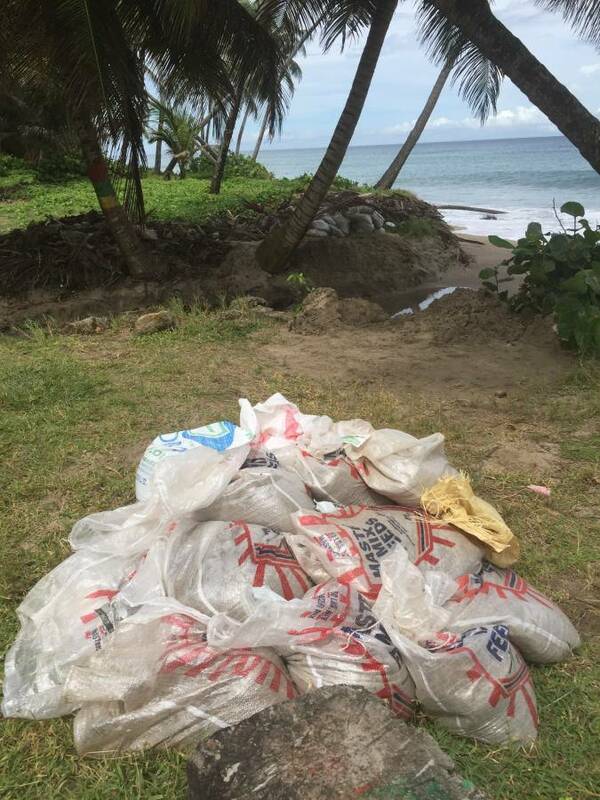 The issue was pursued by a phone call to the Road Office in Sauteurs who responded saying categorically that they do not give anyone permission to take sand from the beaches and that the matter should be reported to the police. They were subsequently contacted, and their response was that they thought that people requested permission from the Road Office, which meant that there would not be any point in questioning the sand miners. In frustration, this person went to speak to the Parliamentary Representative for St Patrick West, the Honourable Mr Boatswain. Once again, reassurance was given that sand mining is not allowed on the beaches in St Patrick. Gravel and Concrete are the only agency allowed to avail themselves of the commodity as they have permission from the ministry. Mr Boatswain asked his staff to investigate the matter immediately and advised that the police should be informed if this happened again. The following morning, a different truck was sighted loading bags full of sand from the gully with different personnel to the other mornings. The police were contacted twice and given a description of the truck, however they were not sighted and the truck left. There have been reassurances from the police personnel that the truck was met by the police officers. Was the initial group of people, they were there for 7-8 mornings, one of the teams hired recently to be environmental maintenance teams? If so, is this really what their remit is, SAND MINING? 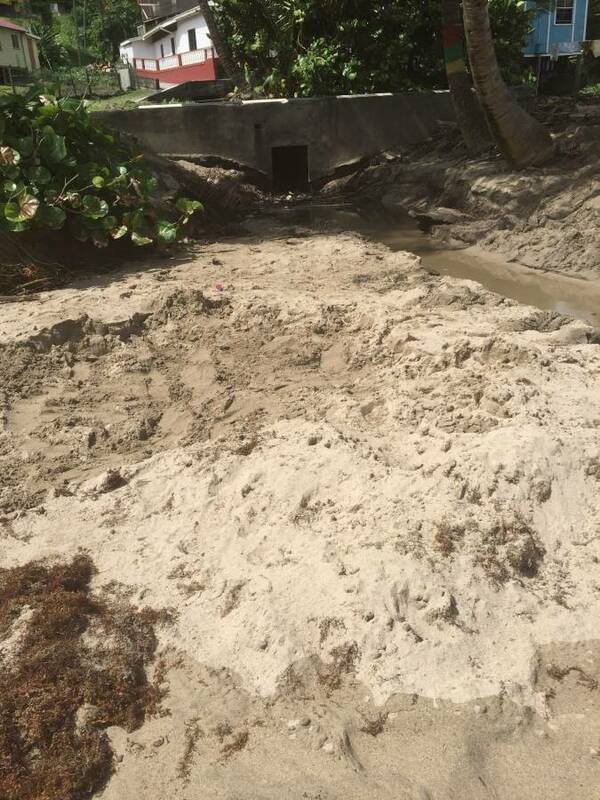 If we continue to allow the destruction of our beaches how can we, in all honesty, be calling ourselves the champions of climate change mitigation in the Caribbean? Furthermore, how can we be asking, as the Prime Minister was heard to do this week, for money from the Green Climate Fund, saying that we are committed to protecting our environment, if we are not able to challenge simple environmental issues happening under our very noses, like sand mining? How can we be trusted with the bigger issues such as ensuring that the Coastal Zone Management Plan produced with the assistance of GIZ is adhered to? Is it that we are only paying lip service to the environment, when in fact at this point in time, it should be a cross-cutting issue in relation to all that happens in Grenada? We seem to continue to pay consultants to produce policies, plans and other various documents year in, year out. Grenada appears extremely forward thinking on paper. Sadly, we do not seem to be able to convert these tomes into reality.